Now that the festival season is over (for me) I am looking towards the fall holiday season followed by the winter months when I can return to lots of creative work. Right now I’m focused on making smaller quilts, usually under 2.5 square feet, as this size seems to have better prospects for holiday purchases. I’m chomping at the bit to make another triptych and some of my other medium size quilts but those will wait until later. 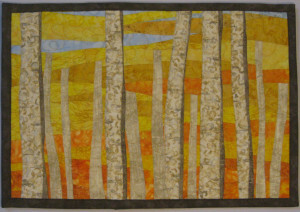 Even when I return to a previous design or subject, I do not “copy” a previous quilt. 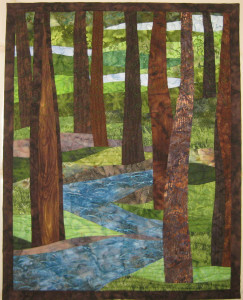 Creating new and diffe rent quilts is too much fun to get bogged down in doing the same thing over and over!! 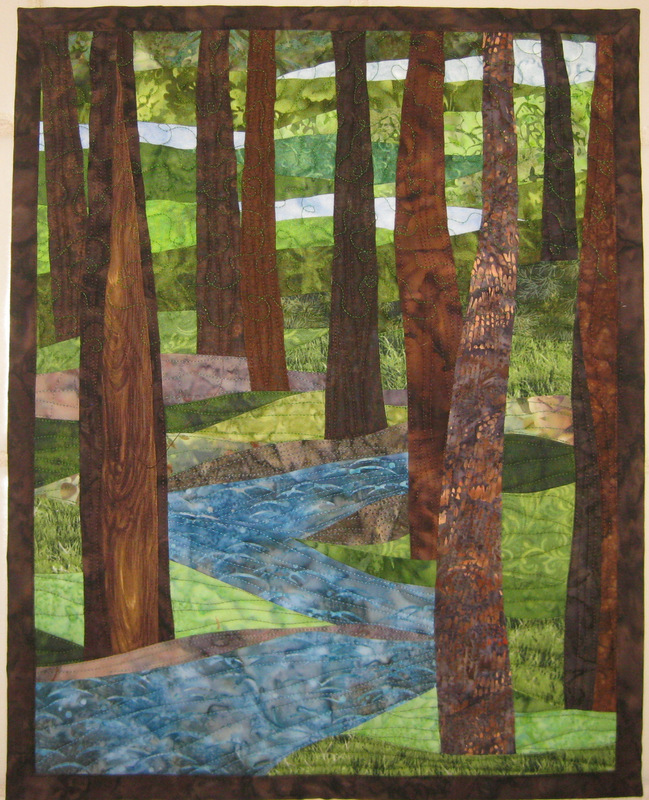 For Trees 14 with Stream which I just posted on ETSY, I decided to try a more meandering stream. 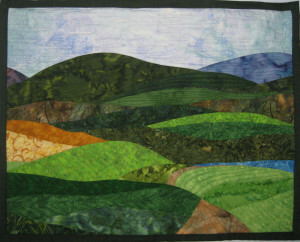 In Landscape 4 I used a wide variety of free motion designs in each pieced section in the quilt which added both texture and depth plus a bit of whimsy, reminding the observer that, though the quilt resembles a landscape, it is abstract art….I’m not trying for realism. 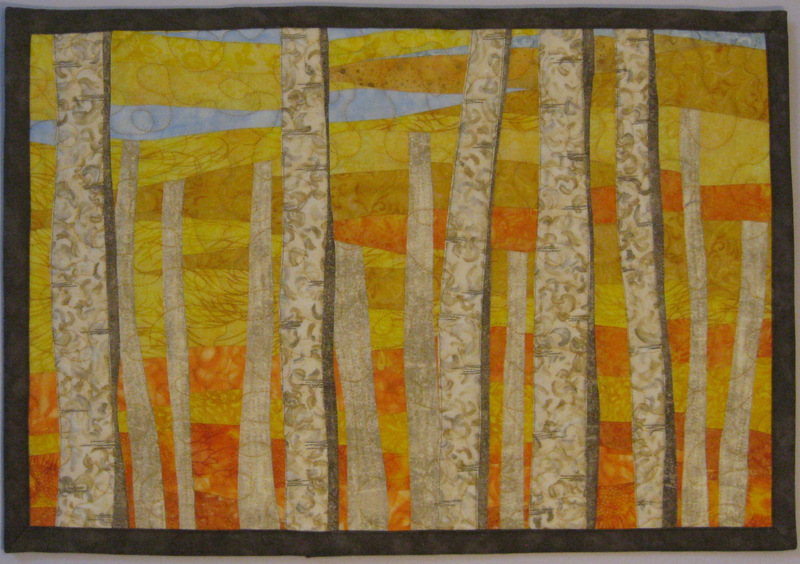 Finally in my second birch tree quilt, Birch Trees in Fall 2, I used a different fabric for the trees and designed the entire quilt differently than the first birch trees. It is fun to experiment!